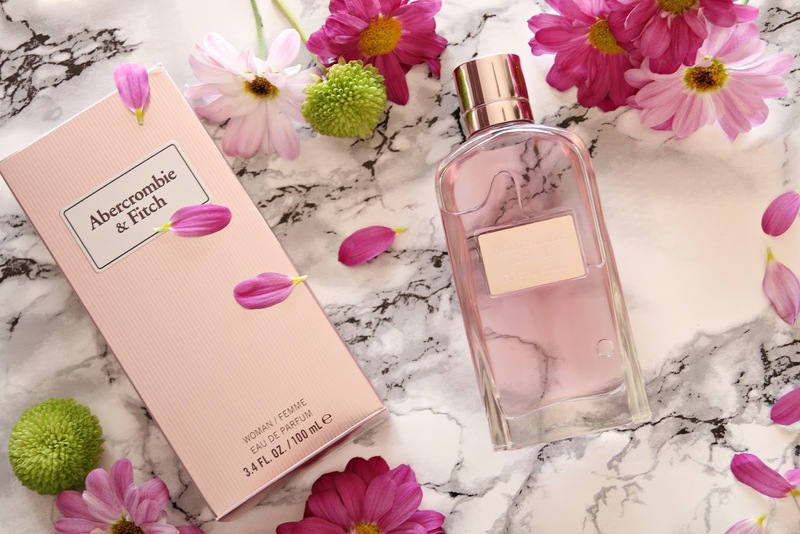 When spring rolls around, there’s always one new launch that particularly stands out to me and this year, it was the release of theAbercrombie & Fitch First Instinct For Her perfume. 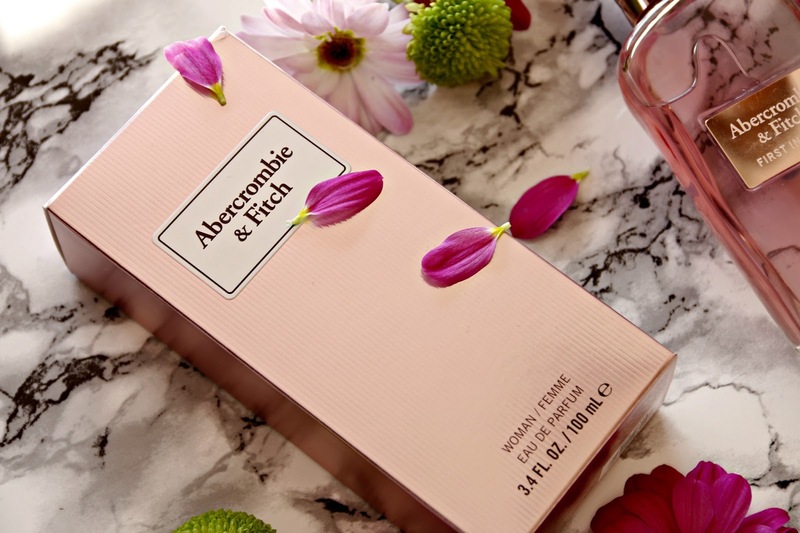 If you’re a fan of their premium quality casual wear then you’ll know that Abercrombie & Fitch are not new to the fragrance market. They have released many different fragrances exclusively in their stores over the years, but this is the first time that they have released a perfume for sale on the fragrance market at a range of retailers from Debenhams andJohn Lewis to Feel Unique. The fragrance was developed exclusively with Inter Parfums who are the team behind many highly regarded perfume brands from Agent Provocateur, Anna Sui and Jimmy Choo to Mont Blanc, Paul Smith and Van Cleef & Arpels. Following hot on the heels of the mens version that came out last year, First Instinct for women is an absolutely beautiful fragrance that in all honesty, I wasn’t expecting. I can’t lie, when I thought of Abercrombie & Fitch, I imagined either something overly fresh or too sweet, basic and forgettable. In reality, First Instinct for women is far more unique and has a beautifully layered choice of fragrance notes that make it stand out from anything else I have in my collection… and if you know me by now, then you’ll understand that I’m referring to quite the collection! 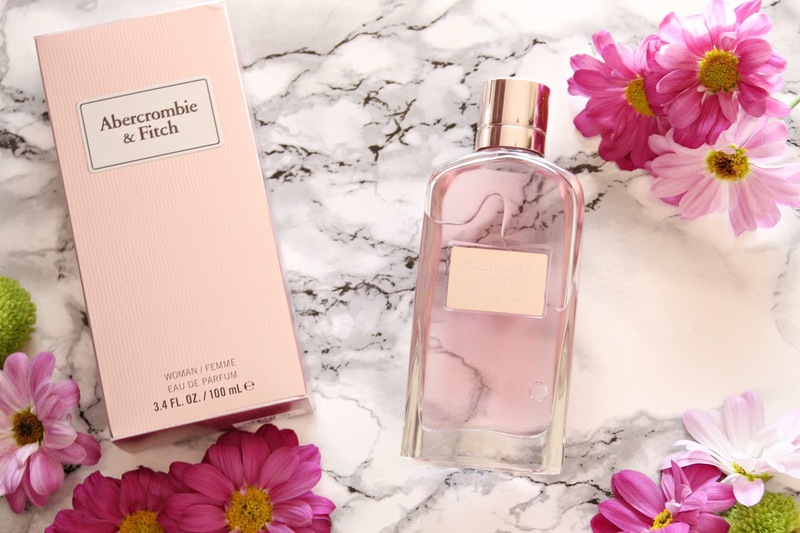 Abercrombie & Fitch First Instinct is a Floriental fragrance, inspired by the first moment of attraction between two people; a moment that cannot be put into words. It represents a spark, initial connection and first glance which translates into a beautiful yet uncomplicated, easy to wear fragrance. It has a sophisticated yet playful opening of fruit and floral top notes that I think will surprise many people who try this scent. Think of sun-kissed magnolia blooms, uplifting and awakening grapefruit zest and the sweet dewy brightness that comes with passion fruit. The heart of First Instinct takes femininity and brings out something sensual and captivating with floral notes of wild orange flower, butterfly orchid and exotic water lily, before settling on the most incredible base. The base of First Instinct is all about contrasts with warm amber, creamy tonka bean and addictive musk, which we all know by now is my favourite base for perfume. The result is the most beautifully combined scent that is playful and feminine yet alluring and sensual. It is the perfect mix of notes for me and one that I think many women will love, especially those in their twenties. The scent is unique and unlike anything else I can think of. The eau de parfum formulation isn’t terribly long lasting but that can work in its favour as the scent isn’t overpowering or too heavy, making it a fantastic daytime fragrance whether you’re out at work or uni, as well as it being equally suited to evening wear. First Instinct would make the perfect date night fragrance, especially for a first date where you don’t want a scent that is going to be too heady or offensive. It is a fragrance that enables you to smell effortlessly feminine, girly and sophisticated. There’s a playful, flirty feel to it that I find really endearing. Everything about this perfume is beautiful and pretty but in a very authentic, easy to wear way. It isn’t a scent that is trying too hard; it is effortlessly beautiful and original without even trying to be. This makes it perfect for wearing day to day. The femininity of the fragrance transpires through to the packaging too which was developed by Fabrice Legros who wanted to combine masculinity with femininity. The bottle is rectangular in shape yet is then rounded off to give it a softer, more feminine feel. 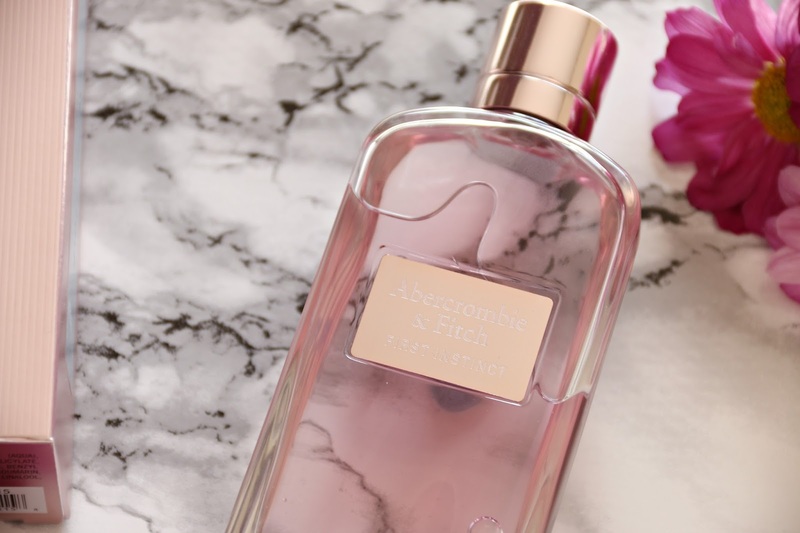 The light pink perfume inside the glass bottle combined with the metal cap and Abercrombie & Fitch stamped metal plaque that are also in a light pink hue, give a further feminine touch to what is often thought of as the styling of male packaging. Undeniably, this is one fragrance that will not look out of place on any dressing table, beauty cabinet or dresser. Since First Instinct for her is such an easy to wear fragrance that I think many women will love, I’d suggest it as being the perfect choice when buying a perfume as a gift. I can’t envisage many women not loving this beautiful scent! Abercrombie & Fitch First Instinct for Women was launched exclusively at Debenhams and is now available in stores nationwide and online. Check out the retailers below or head to John Lewis and Feel Unique where you’ll find 30ml, 50ml and 100ml bottles of the fragrance. There’s currently a gift with purchase available from some retailers, including The Fragrance Shop, who are giving away a great quality Abercrombie & Fitch cap with purchases of the 50ml and 100ml size First Instinct. How does Abercrombie & Fitch First Instinct sound to you? What do you think of the packaging? This sounds like a lovely perfume for daily wear for me, even though perfume doesn't last long on meI don't really like too overpowering smells. Easy to wear perfumes are my go to! This sounds like a really interesting fragrance I have to admit to being a fragrance lover, so I will have to keep an eye out for this one. What a lovely perfume and the nottle is really sophisticated and very pretty. oh im always on the look out for a new scent! This sounds lovely! This sounds beautiful. I need some new perfume so will check it out. The bottle looks so pretty and feminine. I do love fruity and floral scents so this is one I must get my hands on. Wow, I love the packaging and of course I would want to try the scent! Can't wait to check it out. Love the bottle …. I never knew they did fragrances. I'm a big fan of subtle scents and I think I'd like the smell of this one. I'll have to give myself a spritz next time I'm in the shops. When I first went to California, I bought so much of their perfume. It's really great value. Wow, It really looks a beautiful perfume and I love the packaging this is my favorite color! I do love fruity scents myself!! I've heard some abercrombie perfumes are amazing! 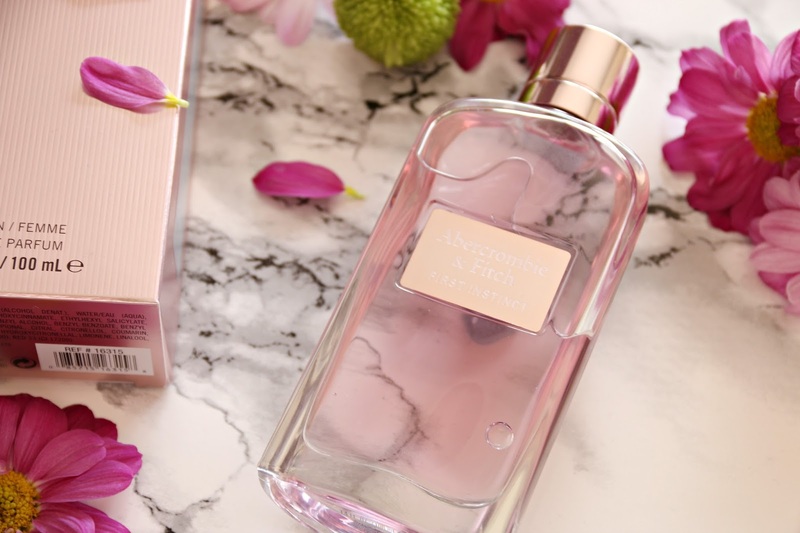 Wow this bottle is gorgeous – I really want to smell it very soon! I'm in the search for a new scent, so I might have to go and give a sniff to this one :)Thanks for sharing!